We're proud to announce that we're releasing a new record from Exotic Dangers on May 24th! It's called "Nine is Fine" and it rises from the garages of Northwest Alabama to deliver a live, direct-to-tape, full-throttle rock-and-roll experience! We’re excited to announce that we will return to Austin this year for SXSW 2019! Come by Cooper’s BBQ (217 Congress Avenue, right next to the JW Marriott downtown) on Friday night, March 15th to hear The Prescriptions, Nicole Atkins, Erin Rae, John Paul White, The Kernal, and recent GRAMMY nominee Cedric Burnside. Your SXSW badge or wristband will get you free entry, but anyone is welcome to pay the nominal cover charge at the door. We’ll see you there! Today, we’re announcing that we’ve signed Nashville rock band The Prescriptions to Single Lock! We’ll release their debut record, Hollywood Gold at digital retailers and streaming services on April 5th. Right now, you can find 4 full songs from the record at your favorite streaming service. Go check it out! To pre-save the record, click here. The band will also perform at Single Lock’s 2019 SXSW Showcase (Friday, March 15th at Cooper’s BBQ in Austin) and will open for John Paul White in Atlanta and Birmingham this May. Grammy Award winner John Paul White confirms the release of his new album, The Hurting Kind, due April 12 on Single Lock Records—pre-order the album here. White is also sharing the first single “The Long Way Home” today. The Record Store Day vinyl edition of The Hurting Kind, featuring a bonus 7" is available starting April 13 only at independent record stores. See recordstoreday.com for more information and to find a store near you. White grew up in tiny Loretto, Tennessee, and now lives in Florence, Alabama, not far from Muscle Shoals. He has cultivated his career in Nashville for two decades, first as a songwriter for a major publisher, then as half of The Civil Wars—a groundbreaking duo that won four Grammy Awards before disbanding in 2012. White’s collaborations include contributions to recordings by Rodney Crowell, Hiss Golden Messenger, Rosanne Cash, Jason Isbell, Candi Staton and Emmylou Harris, and production work with Lera Lynn, Lindi Ortega, Dylan LeBlanc, Penny & Sparrow and Donnie Fritts’ Oh My Goodness, which also marked White’s debut as a producer. White is also a partner in Single Lock Records, an independent record label based in Florence, Alabama. In 2016, White released Beulah to widespread critical acclaim with Rolling Stone praising, “the strength of White’s songwriting lies in the masterful balance he strikes between character and confession.” The Hurting Kind is White’s third solo album. Louisiana singer/songwriter Caleb Elliott will release his debut album Forever To Fade on March 8th on Single Lock Records. On the album's twelve tracks, Elliott layers soulful string scores over that booming, dirty-sweet groove that gave name to the Muscle Shoals Sound and John Cale-inspired arrangements. First single "Makes Me Wonder" is available today. The track opens with a lush 70s-era symphonic soul string score and quickly gives way to an in-the pocket beat overlayed with Diaphanous organ, electric sitar and glockenspiel riffs. Listen to "Makes Me Wonder" HERE. 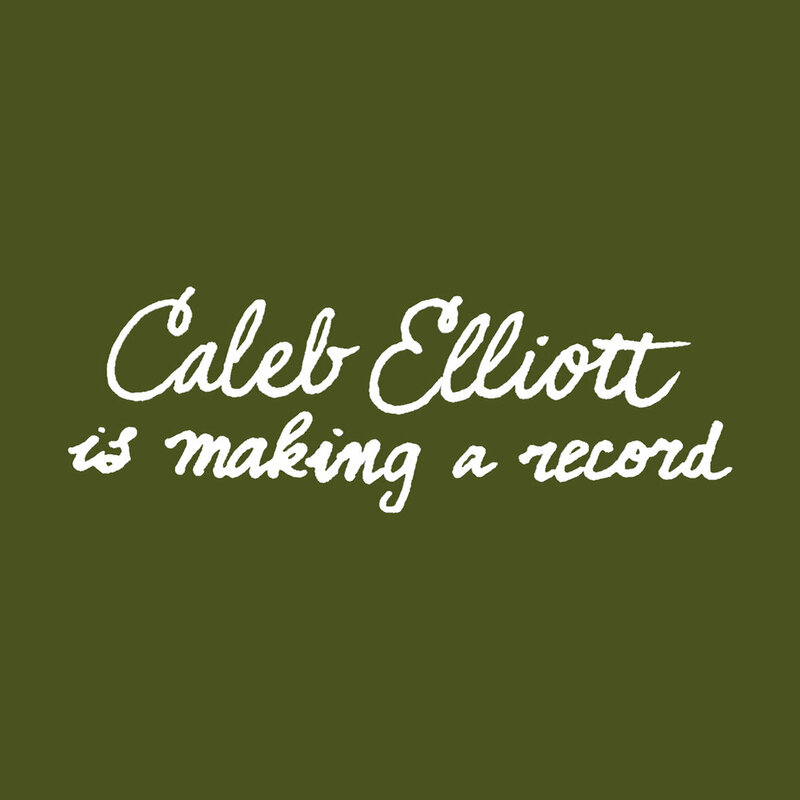 In 2018, Spotify highlighted Caleb Elliott's song "Get Me Out Of Here," which was added to numerous playlists including the prestigious "Fresh Folk" and "Chill As Folk" playlists. The song has been heard over 300,000 times to date in over 77 countries. This swamp-art-rock record bridges the distance between the classically-trained sideman Elliott was to the songwriting frontman he's become; the 480 miles between his musical origins in Natchitoches Louisiana and a gothic upbringing inside a cult-style religion to finding mental and artistic liberation. "Caleb brings a really impressive arsenal of tools and talents, and his songs don't always follow the typical rules or structures of a lot of singer-songwriters," says Tanner. "They usually surprise me in where they go melodically, harmonically, or structurally." While riding in the backseats of tour vans with Nicole Atkins, Dylan LeBlanc and Travis Meadows, and backing other artists like Lera Lynn, John Paul White, Donnie Fritts and Sean McConnell in the studio, Elliott never stopped writing his own materials. To record Forever To Fade, he joined forces with Tanner and Alabama Shakes bassist Zac Cockrell, while John Paul White added backing vocals. Forever to Fade shows he's ready to take the wheel. Congratulations to Cedric Burnside for today's GRAMMY Award Nomination for his brilliant record, "Benton County Relic" in the Best Traditional Blues Album category. It is Cedric's 2nd Grammy nomination, and it's the first Grammy nomination for Single Lock Records. To say we are proud would be an understatement! Thank you to the Recording Academy / GRAMMYs and to voters nationwide for recognizing Cedric's gifts and this remarkable piece of music. Now... let's win this thing! ORDER BENTON COUNTY RELIC TODAY!! Erin Rae on NPR's Top 100 Songs of 2018! Erin Rae’s “Bad Mind” lands at #28 on this year’s list. Click here to read more, and click here to order Erin Rae’s record today! Kris Kristofferson made a living out of writing songs that said “I get it. I’m no good for you. You deserve better. But...don’t go quite yet.” This is my version of that type of moment. I wanted to write a complex song about a complex situation. Lots of changes, lots of elements. I wanted it to ebb and flow, like any relationship. It HAD to be a waltz. There was a conscious effort to keep the singer calm - almost soothing, comforting - as he explains that he knows where they’re heading. In the bridge, I deliberately sought to convey something slightly different than the rest of the song. A moment where the singer isn’t quite as nonchalant, and reveals he’s falling apart. And then with the final line, he pulls himself together, and accepts his fate. Because he always knew it was coming. This is a moment where I’m being completely self-indulgent and embracing so many of the things I love in a song: complexity; dynamics; nuance; drama; guarded and raw emotion. Orbison, Cline, Slim Whitman - they’re all here - along with Kris and Chet Atkins and Bill Porter. I’m letting go of my apprehension about being over the top and a “showoff”. This is the beginning of a wellspring of unguarded music sprung from all the things I’ve ever loved. This fills the void in the music I hear around me. To hear “My Dreams Have All Come True”, click here! Today, we're excited to introduce you to Caleb Elliott. Caleb is one of the unsung heroes of the "new Muscle Shoals sound"-- if you've heard strings on any of our label's releases, Caleb likely played a part in that. What you may not know, though, is that Caleb is an accomplished singer-songwriter of his own, and he cut a remarkable new record at our studios earlier this year. Hear the new Donnie Fritts record at The Bitter Southerner! Click here to listen to the new Donnie Fritts record thanks to our friends at The Bitter Southerner! Hear a new Cedric Burnside song courtesy of Billboard Magazine! You can hear "Ain't Gonna Take No Mess", a brand new single from Cedric Burnside, right now courtesy of the folks at Billboard Magazine. Click here to listen! If you haven't preordered your copy of Benton County Relic, you should get that done! Preorders through Single Lock come signed by the man himself! Head to our shop to get one! For tickets and more info, head to erinraemusic.com! Click here to watch-- thanks to our friends at AFROPUNK! "June (A Tribute to Arthur Alexander)" is out locally July 27 and worldwide August 31. Click here to preorder a signed copy, shipped to arrive on or before July 27! "Benton County Relic", a new record from Cedric Burnside, out 9/14! 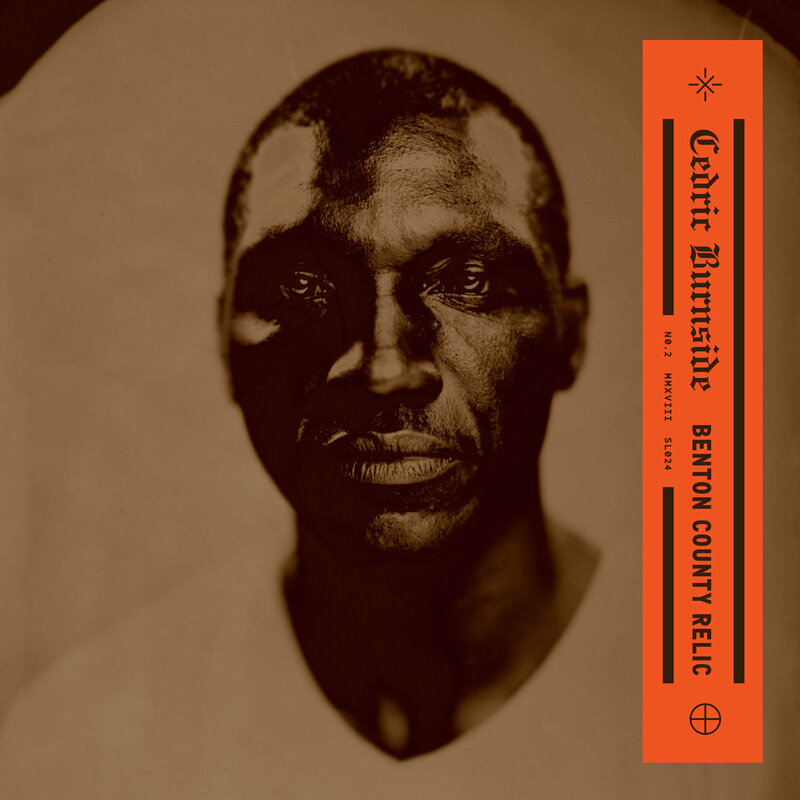 We're excited to announce a new record from Mississippi Hill Country bluesman Cedric Burnside. It's called Benton County Relic and you can preorder a signed copy right here! A New Record from Lera Lynn is out TODAY! "Plays Well With Others" is a brand new duets record from Lera Lynn, and you can own it today on Single Lock Records. Hit your local record shop, or click here to order from us! You can listen to Lera Lynn's new duets record, "Plays Well With Others" right now, courtesy of NPR Music. Click here to listen! Starting today, you can listen to Erin Rae's new record Putting On Airs in it's entirety at NPR Music. Click here! Putting On Airs hits stores worldwide next Friday, June 8! Order today at the Single Lock One Stop Shop.